The "gleaming" in the product title refers to the stenciled illumination on top of the mouse which lights up when the mouse is plugged into a USB port. Preorders are welcome to ship in late December 2018. Although the packaging specifies compatibility with Windows 8/10, the mouse will work with other versions of Windows as well as Mac computers. The current product image was scanned by a supplier from printed material. The image will be updated once Taito releases it officially on their product information page. The girls of One Piece are generally attractive and have a bit of fashion sense. Nico Robin always looks chic and Nami looks better than most female pirates who spend their days on the high seas. Outtrigger is a combat game that features both first- and third-person perspectives. 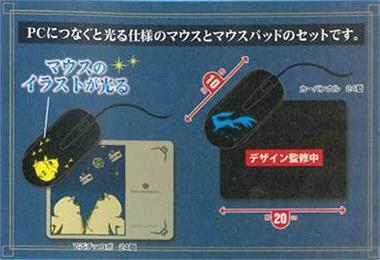 Brand new and factory boxed official Sega Mouse for the Sega MegaDrive that's packaged with a blue mouse pad which bears the Sega imprint on the lower-right corner. 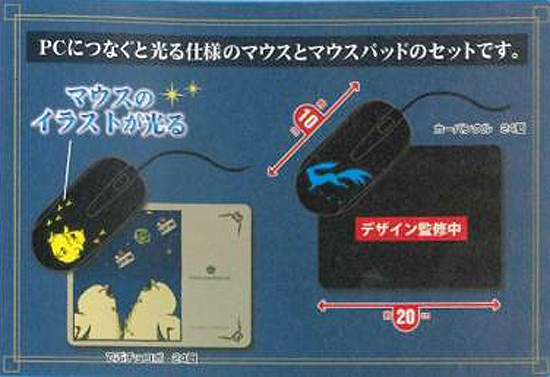 Japanese manufacturer Furyu presents a Super Mario Mouse Set which includes a mouse pad depicting Mario holding a green Koopa shell and a USB Koopa optical mouse with scroll wheel which works with Windows PCs and Macs using existing mouse drivers.